It's the details that make your wedding day special...here are our five favorite moments from our Instagram feed this week featuring Unique Floral Designs, Luxe Linen, Lucas Rossi Photography, Karen Marie Events and This Modern Romance. 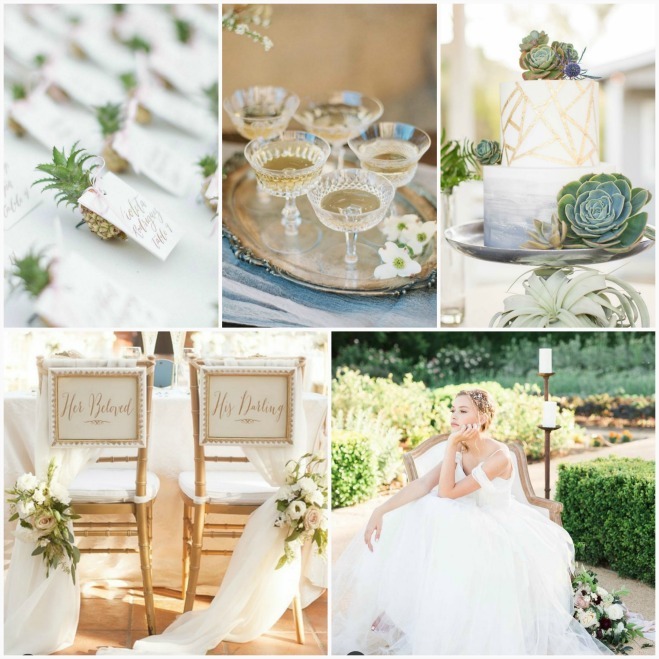 We make a point to follow the best and brightest wedding vendors in California so we're always on top of the latest trends and movements in fashion, accessories, tabletop details, flowers color palettes, and all-around inspiration. We're with you every step of planning your wedding, so whether you're in the market for a photographer, florist or searching to find the moment that inspires your special day, Instagram abounds with creative souls and we're searching it daily to bring you the finest moments. And since we're constantly scouring Instagram, we decided to start bringing you our favorite moments every week by rounding up our five favorite photos from the past seven days. And believe us, choosing only five is no easy task with so many flowers, rings and beautiful moments captured in picture-perfect detail. But each week there's a moment that captures our hearts and then the rest fall into place...just like planning a wedding should be. So add the incredible vendors pictured below on your Instagram feed for gorgeous inspiration that is sure to help guide and inspire your wedding planning. And vendors, if you'd like to be featured in our Instagram roundup, all you have to do is tag your best bridal photos #CWDfave and we'll be sure to keep our eye out! Don’t forget to follow us on Instagram at @californiaweddingday for your daily dose of pretty!